Bonds are securities for repayment of loans lent to a large corporation or government. It is normal for corporations to seek for loans from banks to embark on projects or assignments. But, there are times when the amount of funds to complete a project are enormous, larger than what banks can offer as loans. Therefore, they seek for loans from multiple investors with assurance of payment at the end of a specified period-maturity period. As normal loans, bonds are repaid with interests- coupons. Previously, bonds are sold as certificates with coupons clipped with it. Bonds become valid when banks stamp them. The worth of a bond when a bond creator sells it is known as the face value. Because of the nature of bonds, they can be traded in secondary markets. Bonds are securities and can be viewed in the light of being a stock/ shares with a fixed return. But bonds are different. Shareholders are entitled as part owners of a company, thus they share in company’s profit or loss. But bonds holders are lenders who are entitled to repayments at the end of the maturity period with interests paid annually or biannually as specified in the agreement. When a company folds or close down share owners suffers the loss but bond owners are entitled to be repaid. Bonds are old investment methods that seem to have lost it popularity. Digital bonds are introduced around 2010-2012 in the US to make things easy and attract young investors. But bonds as exciting as they are, are still in competition with other type of investments. Since bonds are some form of agreement that may need trust in centralized system, introducing it to the blockchain is surely a wise decision. There is no need to begin to compare and contrast the possibilities or advantages blockchain bonds could offer for investors. It is sure that the blockchain will facilitate a trustless, and transparent agreement between agreeing parties. But there will be a need to limit the public from viewing details of agreement which are meant to remain private. This is the reason for Xinfin’s Hybrid blockchain. XinFin is patnering with Aix, an award winning Artificial Intelligence trading plaform for cryptocurrency and stock market, to develop a Bond creation platform to help investors. AiX sees the basic challenge of bonds which is liquidity and accessibility to traditional investors. Normally bonds have limitations and barriers to the selling of bonds. Governments differ, so there is the cross-border limitations. The cost of sending or connecting an international investor to a bond offering may be high and not advisable. The only solution is to bring it on Xinfin’s hybrid blockchain which helps trade and finance sector. 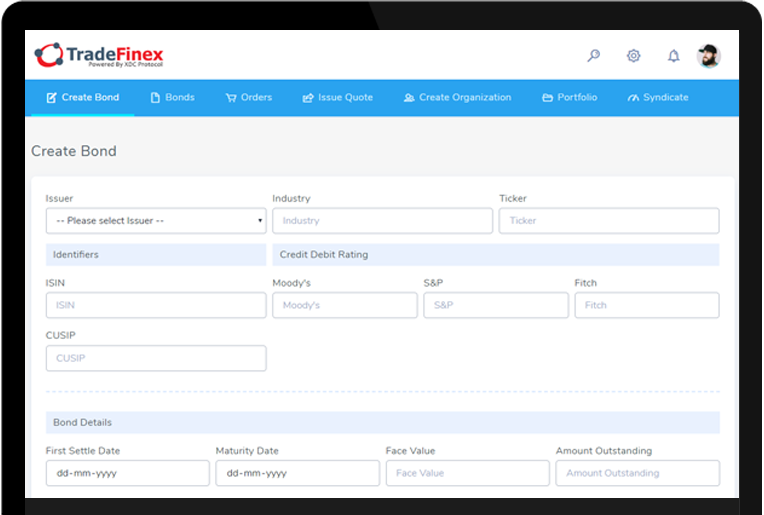 With XinFin’s hybrid blockchain, a bond creator can easily create a smart contract bond on Tradefinex and sell it to international investors through secondary markets like AiX. Bond creators will need to set up a master node on the Xinfin’s blockchain to be able to create a bond. This gives them the ability to have investors as networks under them. According to the characteristics of XinFin’s nodes, transaction details are always transparent and open within the network but hidden from the public. The public only sees them as normal transactions, thus privacy is protected. XinFin‘s nodes are also KYC enforced. Therefore all bond creators undergo strict scrutiny to ascertain originality. This is to prevent fraud and money laundering. XinFin will confirm if the prospective bond creators are who they say they are and if they own what they say they own. This is to put the investor’s mind at rest. Creating a bond smart contract is easy as ABC and can be done with no technical knowledge. The test net is out for everyone to see and play around with, here. 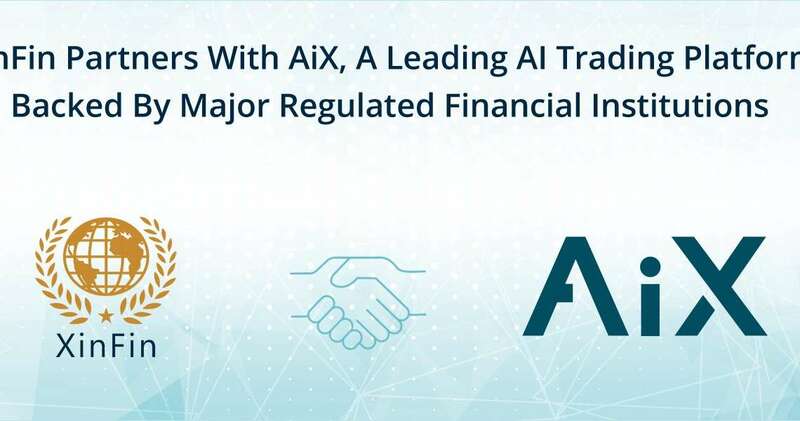 The partnership between Aix and XinFin will help Aix connect large corporations, governments, brokers, banks, and all other relevant players, seamlessly in a transparent and trustless manner. This article has not even gone into the significant doors of finances that this partnership will open both Aix and XinFin to at the end of the year. Aix is backed by a FINRA-registered Wall Street Brokerage Firm with a team of experienced inter-dealer brokers holding FINRA series 7, 63, 55, and 24, designations in the US in addition to FCA registrations in the UK. That is a great feat. Aix trading platform uses a cutting edge technology to help its traders. Users can simply chat the AI on the platform to execute trades. You should get more information about Aix here. Get rid of fake news about cryptocurrencies and the blockchain by joining The Currency Analytics (TCA) in its move with the REAL protocol. Be updated with crypto news from professional by subscribing to TCA. Invest in the REAL news today.